Each project is overseen by Curtis Jeffries- the President of our company. To insure the project management team is in sync with constant changes that occur on each project, Curtis meets weekly with the estimator, the purchasing manager, the sales manager, the project accountant, and the site superintendent to adjust the schedule as needed, and to make sure the sites are ready when installation is required. Each member of the CEI team has a specific role depending on the type of project. 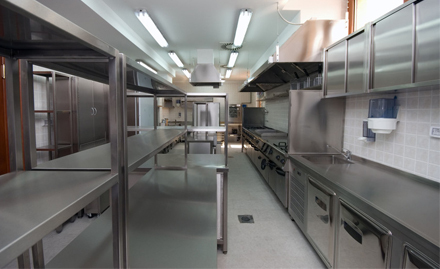 Whether we are dealing with General Contractors, GSA buyers, chefs, owners or church committee members, every member of the team familiar with and involved on every project to insure the project is a success. Choose the company that's been trusted by the biggest names in education, air travel, hospitality and more! You'll get professional and affordable service with us guaranteed. Between Curtis’s expertise in designing the project, the project manager, the engineer and the in house site superintendent, each project is reviewed carefully by the project management team before execution. Because our drawings and designs are all done in house, this gives us the ability to pass on many savings to the customer as a “one stop” shop. Reach out to us today about your needs. Given the lead times, equipment costs, and volume, the purchasing of the equipment at the right time and correctly requires a person dedicated only to this task. Our purchasing manager procures over five million dollars a year in equipment orders using a special tracking system gathered from his experience working in procurement at some of the largest hotel chains. Our purchasing department also handles any issues related to equipment that arrives damaged to our warehouse to make sure the customer is 100% satisfied. The installation department works closely with the rest of the project management team. Purchasing coordinates the equipment deliveries to the warehouse and schedules the installation with the site superintendent who verifies the site conditions are met before any delivery is made. This avoids double handling, extra trip charges, delays in completion and helps to keep the project on track and all parties connected internally. Because we can not control some of the changes made to conditions on these projects, we always use our own installation team to keep costs down – rather than going thru subcontractors that are not under employment at CEI. Curtis Equipment, Inc is certified in Washington DC, MD, VA PA, NC, GA as a minority owned small business. Our staff is made up of 80% DC residence as we are committed to hiring and supporting DC residents. We are as well the only full service foodservice equipment dealer in Washington DC that has been approved by the Federal government to have a GSA Schedule. Our GSA Contract # is GS07F5895P. 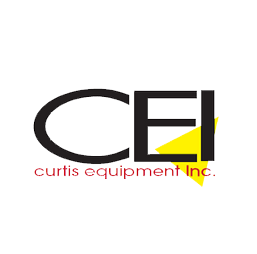 © 2015 Curtis Equipment, Inc. The content on this website is owned by us and our licensors. Do not copy any content (including images) without our consent.